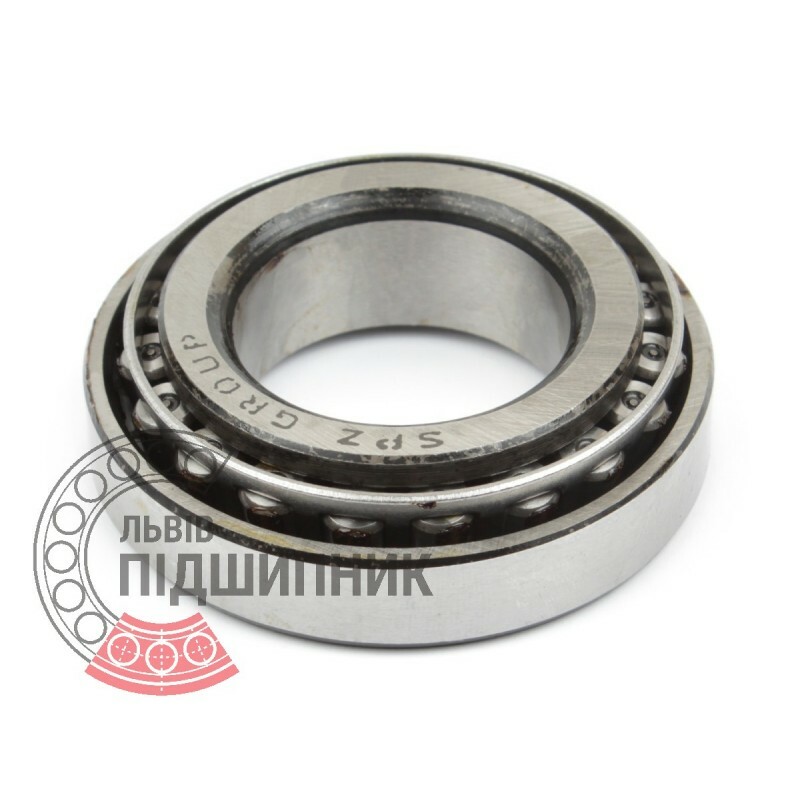 Tapered roller bearing 7712 GOST 27365-87 GPZ-9. Net product price: 320,10 грн. Gross product price: 384,12 грн. Available for order 384,12 грн. 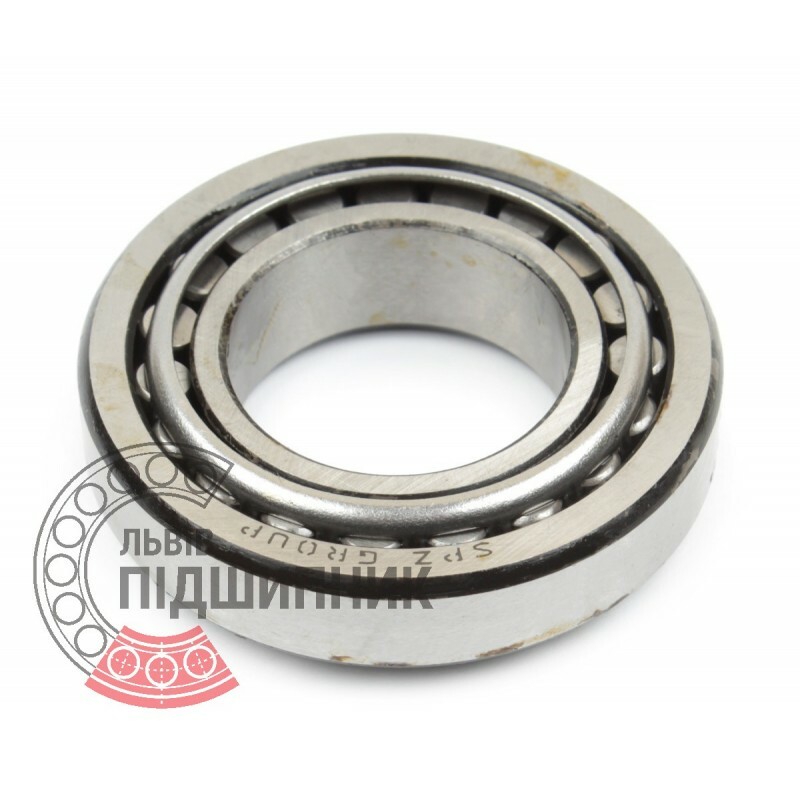 The bearing consists of two rings (inner and outer) and rolling elements (tapered rollers) which are connected by a cage. The inner ring with a cage and rolling elements is a CONE. The outer ring is a CUP. Tapered roller bearings are designed to accomodate combined loads (radial and axial). They have a split construction: the inner ring with the rollers and separator create the unit which can be mounted separately from the outer ring. 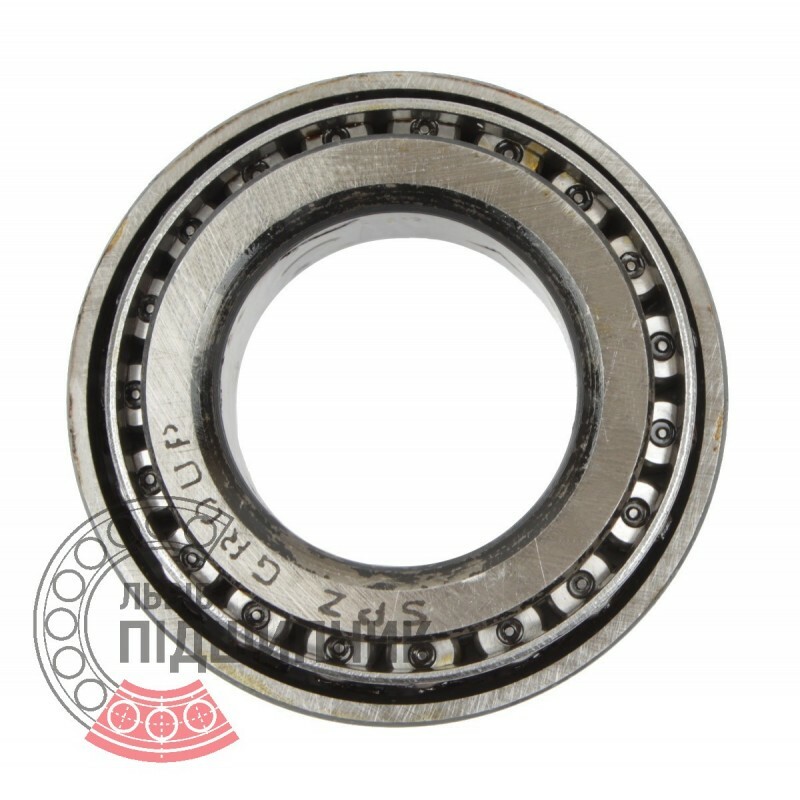 This is a metric tapered roller bearing.